View cart “Truffled Shortbread 200g” has been added to your cart. 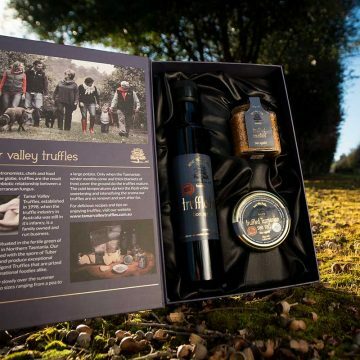 A delicious vintage club cheddar matured for a minimum of 14 months before the Tamar Valley Truffle pieces are added. 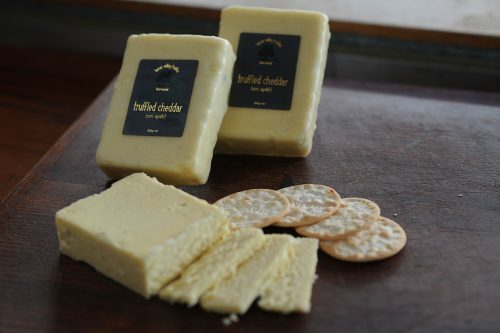 Tasmanian Truffled Cheddar is a vintage club cheddar matured by Rod Wyker for a minimum of 14 months before the Tamar Valley Truffle pieces are added. As this product requires cold storage, it will be shipped within Australia using a large Express Post satchel, containing a cooler box and ice pack. All cold products will be shipped separately from our standard products. Make good use of our cooler box, and order several cold items at a time! International orders are currently unavailable for cold products. 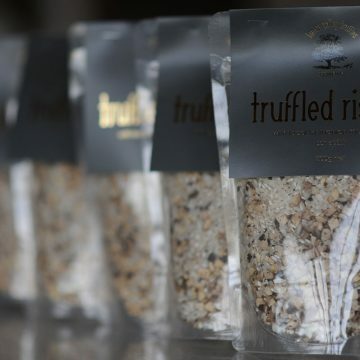 Our black truffle is combined with mushrooms and arborio rice – for an easy meal you can enjoy at home, with flavours usually reserved for restaurants. 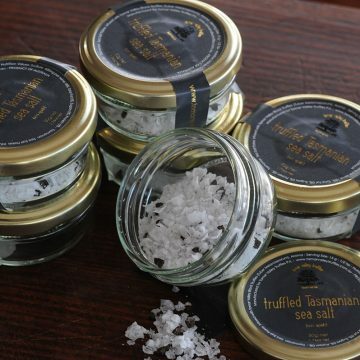 Tasmanian Truffled Sea Salt is an exclusive new product which uses our delicious truffle infusion – add it to any dish to boost flavour! Treat yourself (or that special someone in your life) to an indulgent Gift Box that contains our top selling products.